Karnataka based-Kasturba Hospital has created a breakthrough in heart surgery, by operating a 68-year old man suffering from artrial fibrillation with an artrial plug device, so as to reduce the risk of a stroke in future. The patient was already on biological prosthetic valve and a contraindication for blood thinning agents like Warfarin. The team at Kasturba Hospital, lead by Dr Tom Devasia performed this procedure on this patient with atrial fibrillation and no other structural heart disease, but with a contraindication for Warfarin, a blood thinning medicine. 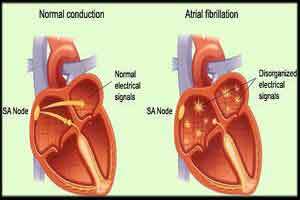 The patient was already suffering from artiral fibrillation, and was on medication to reduce his vulnerability to strokes. In a recent development, due to an intestinal bleeding caused by ulcers in the stomach, his situation further aggravated, with Warafarin becoming resistant to his internal biological system. This type of cardiac intervention is relatively new, and requires expertise to deal with the situation hands-on. Due to the collaborated effort amongst the specialty and the support team at the hospital, the patient was discharged after two days.